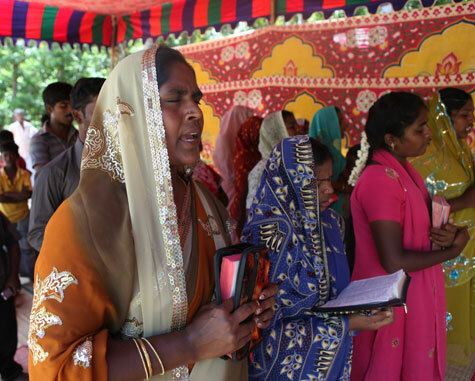 Who could have imagined that the gospel-seed that was planted in a high-cast Hindu home on a hot September day in 2011 would yield a mighty harvest? There is a movement of more than 4,600 home fellowships in this people group, and the number is growing exponentially. At the cross-roads of political change, growing radicalism, and economic decline, God is calling a new movement among Brahmins (high caste Hindus) and empowering them for the spiritual ministry of calling their own people to the truth of the One true God, who became visible in Jesus. With only ten full time workers and 40 volunteers, the task ahead is enormous. Several of the local congregations are already financially supporting much of their leadership and other needs We still need funding for the newer groups and to support work in unentered areas. Your donation of $150 US per month can cover the stipend of a local worker. We aim to have 40 more full-time trained workers by the end of 2017.